Amy spent many happy times in St Lucia, making friends with locals and leaving a lasting impression. 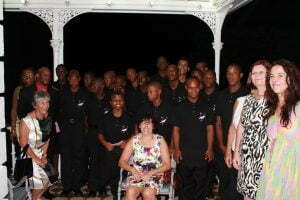 She also spoke of the challenges facing some of the young people on the island, and so the Foundation wanted to help. Since 2014 we have been supporting ‘Amy’s Gift to St Lucia’, a partnership project between Dunnottar School, a special needs school for children aged 5-25, and the Boys Training Centre which provides residential and specialist treatment services for young juveniles in need of care and protection. These young people can often be marginalised and stigmatised in St. Lucia and this project has helped them to improve their health, happiness and aspirations. 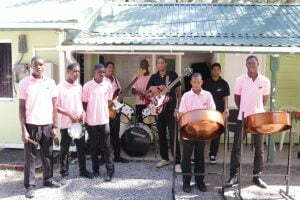 Our support has included kitting out the school and centre with musical instruments, including native steel pans, and funding the salary for a music teacher who provides weekly music sessions for three groups at Dunnottar school and the junior band at BTC, with some of the older boys now going on to continue music at a higher level. Since 2014 the project has worked more than 90 children and young people. The young men at BTC have also benefitted from a 10 session Drug Awareness and Internet Abuse Programme, to help them with their health and well-being. Amy’s love of Jamaica and its musical influence on her is easily recognisable throughout her work. She also spent three weeks recording on the island in 2009. 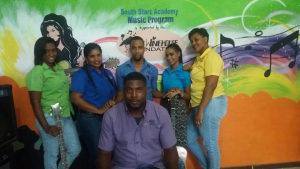 Since 2014 in Jamaica, the Foundation have been funding South Starz Academy, a non-profit organization based in St. Elizabeth, the only Institution that works with disadvantaged children and young people in the area, helping them overcome learning barriers and gaining new skills and talents. Our support has helped them refurbish the school’s current music room, recruit a music teacher, update the music equipment and expanded the music programme – enabling the capacity to increase. 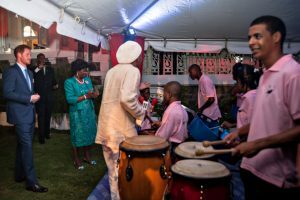 Over 300 students have benefitted from the programme through their daily music lessons. “One of the best things about studying music is that it can become a career that I like. Playing an instrument has developed my self-esteem; it has enhanced my focus in and outside of my studies. My favorite thing about my classes is when I get to learn new songs and master notes and keys that I thought would not be possible”. Pupil at South Starz.